Arabian culture blends with charisma at one of Ras Al Khaimah’s finest hotels, The Cove Rotana Resort. 600 metres of pristine beachfront borders the resort that’s dotted with villas of honey-coloured stone, decorated archways and typical Arabian traditions. Revel in 5-star superiority enjoying fantastic views from private terraces, and kick back amidst features such as Bodylines Fitness and Wellness, outdoor activities, sports, kids’ club, and exceptional dining. The swimming pools are a welcome break from the desert sun and when evening arrives, the atmosphere becomes heavy with the charm and magic of enchanting Arabian nights. Guests can enjoy the setting in the intimacy of a three-bedroom villa with plunge pool or from one of the many relaxing venues dotted around the Mediterranean-style resort. 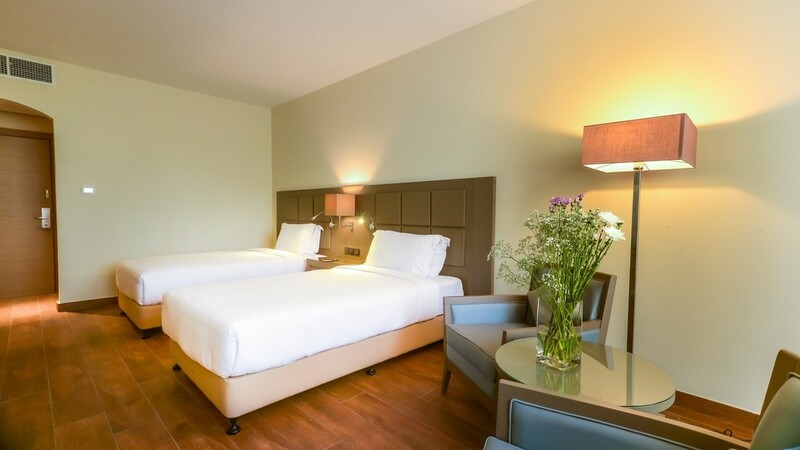 The Village at The Cove Rotana is a fabulous new addition, nestled in the heart of the resort and featuring a more intimate environment to enjoy family time together. With its own Aqua Fun swimming pool, all day dining venue, bar and a fantastic all-inclusive package, The Village is set for a magical luxury holiday in Ras Al Khaimah. There’s 600m of golden, sandy beach as part of this stunning 5-star resort. The Cove Rotana Resort is just 8km away from the city centre, while RAK Mall and a Golf Club are within 10km. A popular family day out can be found at Ice Land Water Park, which is approximately 17km away, or you can experience authentic desert life with a trip to the Bedouin Oasis Camp, 42km away. Ras Al Khaimah International Airport is approximately 20km away from The Cove Rotana Resort. Spacious and with tranquil views over the infinity pool or lagoon, these beautiful rooms showcase traditional Arabian décor with arched ceilings and warm terracotta signature colours. 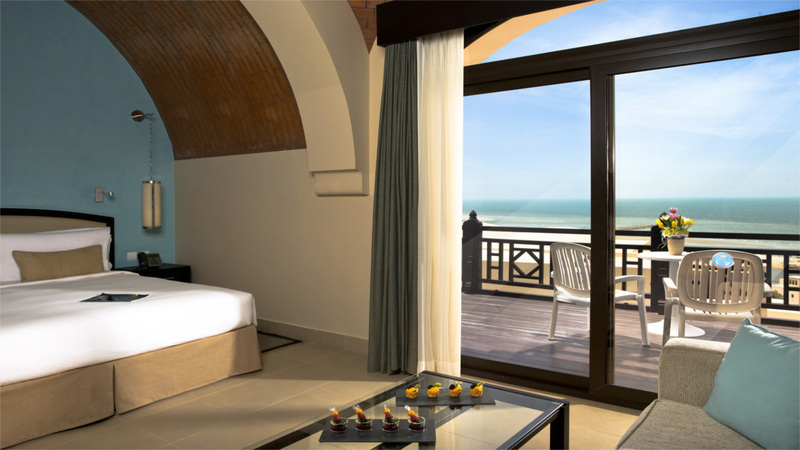 These stylish rooms follow the design of classic rooms, with the additional benefit of spectacular sea views. 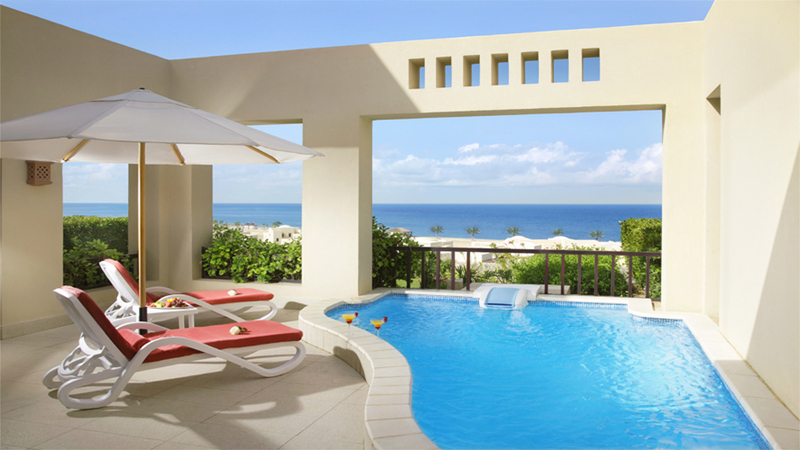 The Villas at The Cove Rotana Resort are available with one, two or three bedrooms. Located either amongst the hills or by the lagoon, they feature the quaint setting of a Mediterranean-style village design. 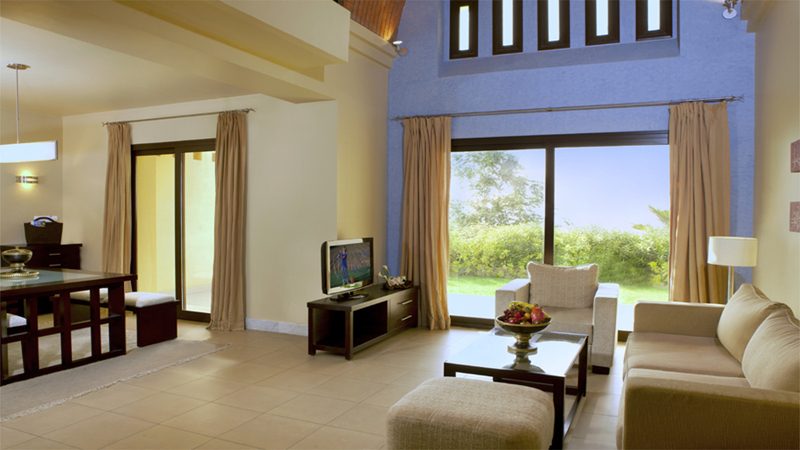 The two and three bedroom villas have the additional bonus of access to a private plunge pool. This stunning accommodation is perfect for extra-special holidays and romantic breaks. 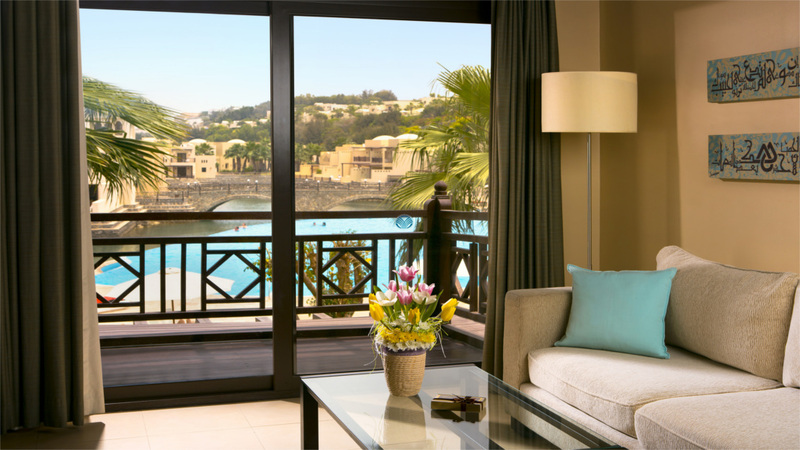 Nestled in the hills or facing the lagoon, the premium villas are spread across the resort in the hills or in the lagoon and feature stunning views of the Arabian Gulf. There's one, two and three bedroom options available, with the latter included access to a private plunge pool. 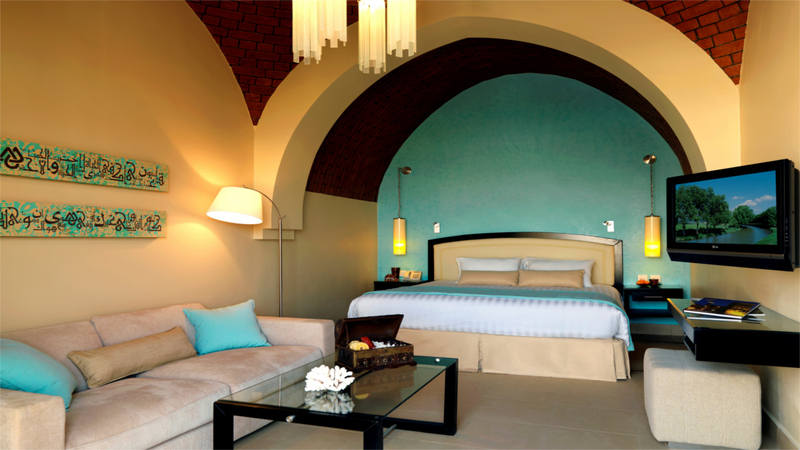 Set in the heart of The Cove Rotana Resort, these elegant rooms are part of The Village. 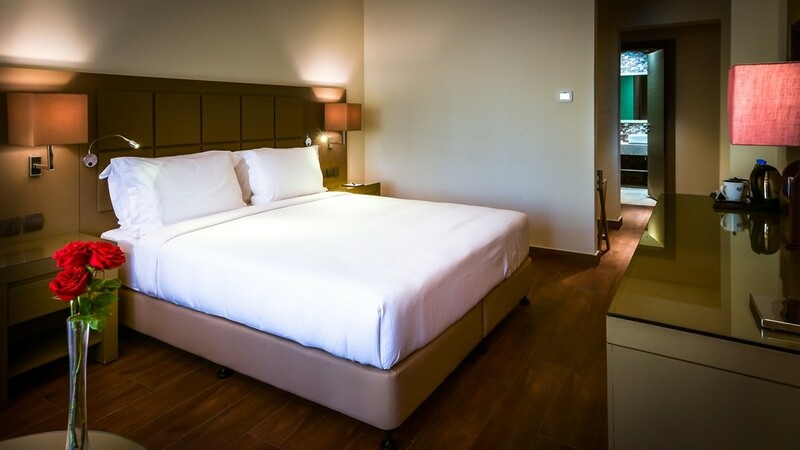 Located in the private setting of The Village at The Cove Rotana, these rooms are ideal for a fun family holiday. 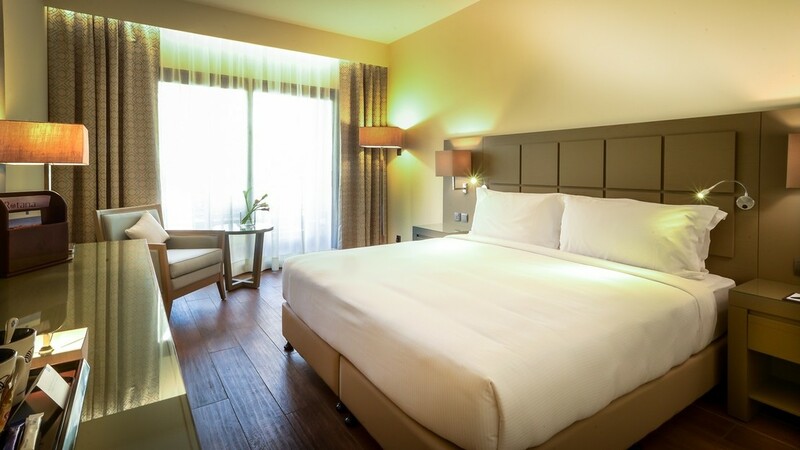 Featuring extra space for the whole family to get comfortable during your holiday to Ras Al Khaimah, these rooms are situated in The Village at The Cove Rotana Resort. 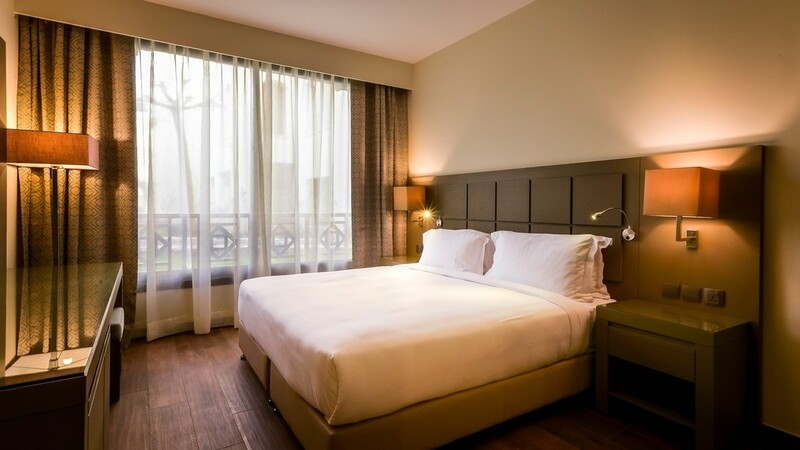 A great many services will cater to all guests’ needs and include sports and leisure, entertainment and sightseeing and a fabulous array of dining venues. An excellent blend of modern and traditional classics combines delicious Med flavours with Italian inspiration at this popular venue. Situated in the lobby, this lounge venue serves light snacks and refreshments in an elegant setting. The choice of alfresco or indoor seating complements the style of this casual and vibrant dining venue. Offering an all-day dining concept of International buffet delights with some Oriental flare thrown in for good measure, guests will revel in a huge choice of favoured cuisine. Laguna offers charming poolside dining and beverages each day until 7pm. Enjoy a variety of tropical cocktails and quick snacks at this fantastic and popular beach bar. Mesmerising views from this stylish pool bar located at the upper pool serves to enhance this already fantastic setting. If you choose to go all inclusive, the programme generally consists of breakfast, lunch and dinner, all buffet style, served in the main restaurant. During meals soft drinks and in-house beverages are usually offered. Drinks are also usually served throughout the day (except during meal times).